Delicatessen-10x10 3/4 Interfolded. 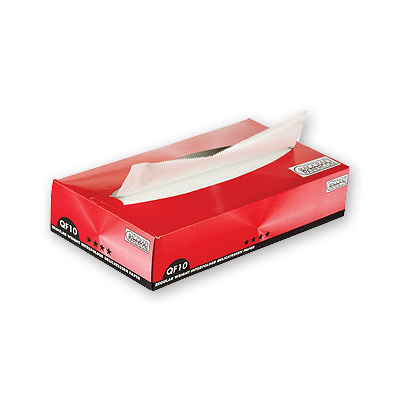 High wet strength keeps paper intact in all types of applications. Grease and moisture resistant. Dry waxed. QF10. 10" x 10 3/4".